I am building my north faced house and what paint colors should I choose as per vastu, interior as well for exterior. 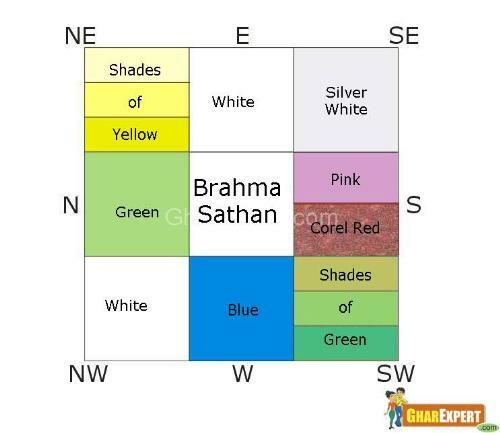 According to the principles of vastu, the colors are based on directions represented by various planets.Like planet Mars is master of South and colors are Pink, Corel & Red. Red color symbolizes power and bravery and also the red color represents emotions and pink color represent joy, happiness. Look at the color chart below For a better understanding. You may hire a vastu consultant, who can predict more color option based on visit to your home/site. Join date: Dec 2018 Making a decision about the paint color at your home was much difficult you have many choices on it that confuse you. I was also stuck the same problem so I get shade cards from college-paper.org essay writing they have all the basic combination on it that was easy to choose the best one.